Hi all, hope everyone is enjoying their holiday today, especially our Muslim friends. I want to wish them Selamat Hari Raya Aidilfitri! I too had a great day today, been spending some quality time with my dear family. Best of all, we went over to my mum's house for another nice gathering with lots of good food! :) Goes without saying, I baked something for desert for the family. 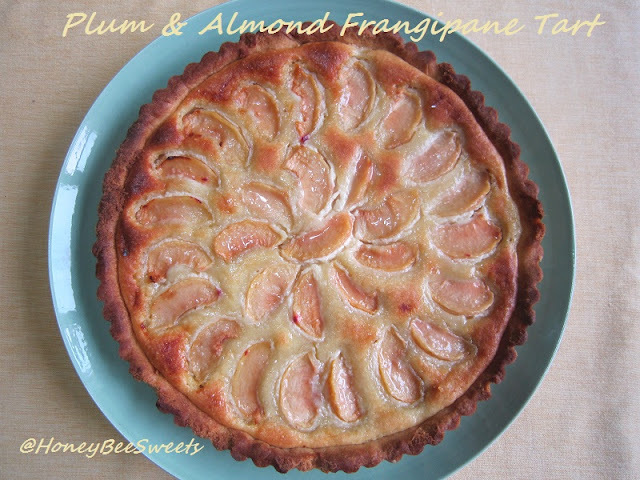 This time I decided to make use of the stone fruits in season and baked a Plum and Almond Frangipane Tart. 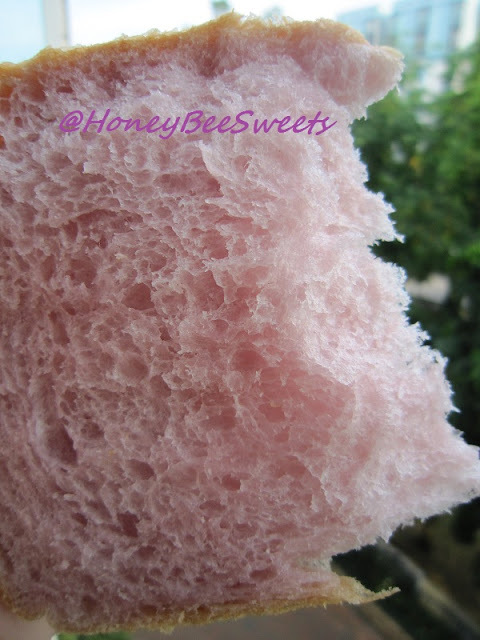 Frankly speaking, I didn't do a good job on my baking...as you can see the crust looks too" toasty" on the sides. *sigh* The mistake was while doing the pre-blind baking for the tart shell, I got a little worried that the base won't be done, so went for an additional 2 minutes. And see what that extra 2 minutes can do?! Lesson learned; Never try to be too smart and over bake your pastry shell. In a bowl, combine flour, sugar and salt together. Scatter the butter pieces into the flour mixture and knead with your finger tips or pastry knife to combine everything till it resembles bread crumbs. Add in the double egg yolks and continue to knead till to comes together to form a soft pliable dough. Wrap in plastic and chill for 30 minutes. Preheat the oven to 200C and grease a 9 or 10" tart pan with a removable base. Remove the chilled pastry dough from the fridge and lightly flour the work surface. Roll out the dough to about 12" in diameter. Gently transfer the rolled out dough with the help of the rolling pin on to the greased tart pan. Gently press in the pastry at the edges and scrap away any excess dough. 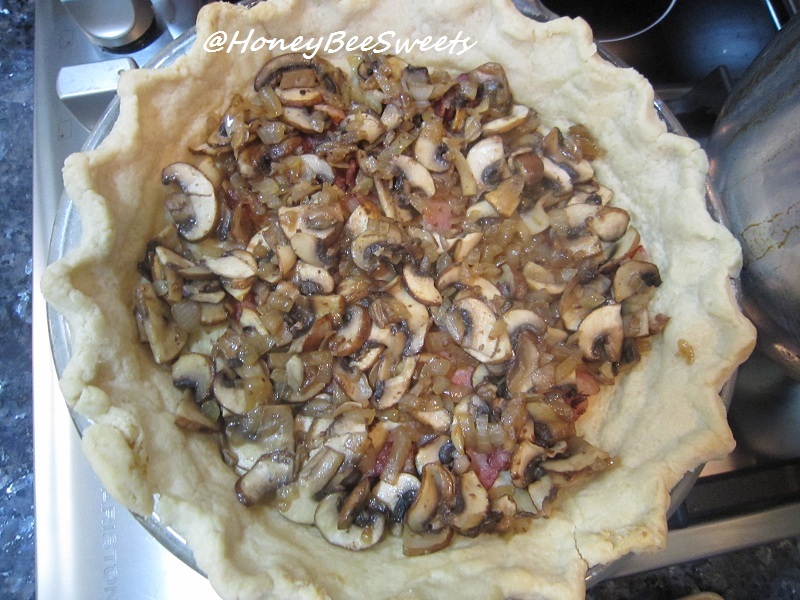 Place a large aluminum enough to cover the tart over and gently press in the sides. Put some baking weight over the foil. 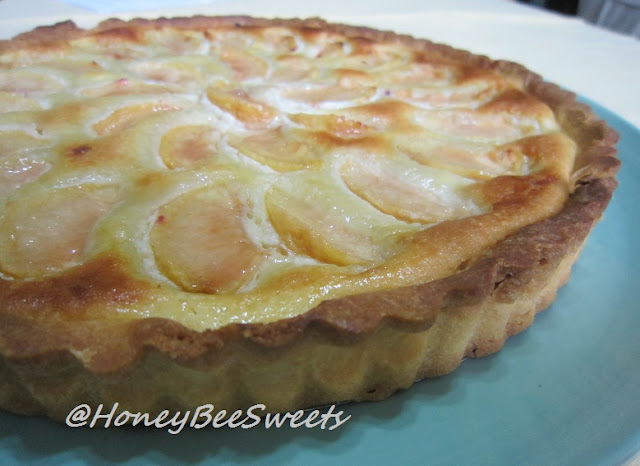 Bake the tart shell for 13 to 15 minutes. Remove the baking weight and aluminum foil and bake for another 2 minutes to dry up the tart base. Remove from oven and let cool till needed. Meanwhile, make the filling: In a food processor, process the blanch almonds and the sugar till finely ground. Add salt, vanilla extract, almond extract if using and egg. Process the mixture till well blended. Add in the softened butter and processed until smooth. . Using the rubber spatula, scrap the mixture into the tart shell and spread it out evenly. 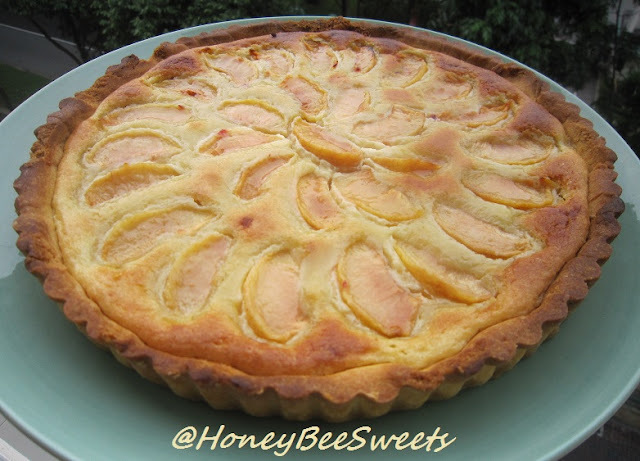 Arrange the sliced plums in 2 circular rows on top of the frangipane mixture. Sprinkle that 1 tbsp sugar if desired. I omitted this and glaze the tart with warm jam after it's been baked. Bake in the preheated oven for 30 to 35 minutes till the frangipane is golden and set. Transfer on to cooling rack and serve at room temperature or refrigerate and serve cold. Believe or not, but the above portion was the only slice that I managed to salvage back home after the gathering. Although it was slightly on the sweeter side (filling sugar can reduce by another 15g), it still turned out delicious. The pastry shell was buttery and nice, while the filling was both nutty, sweet and creamy which went real well with the slightly tart plums. My niece liked it so much that she had 2 big slices, heehee. Will again be submitting this to Aspiring Bakers #10: Easy As Pie ( August 2011) hosted by Janine of Not The Kitchen Sink! 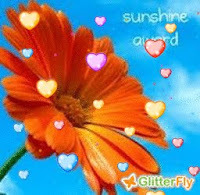 Wishing everyone a good good day today, tomorrow and day after! Cheers! As long as I can remember, there is this special dish that is almost always served in my Hokkien Family during special occasion, or simply on a weekend when everyone is around. Whether it is on Chinese New year, Birthdays or even baby's 1st months, this dish is never left out. I practically grew up eating this. 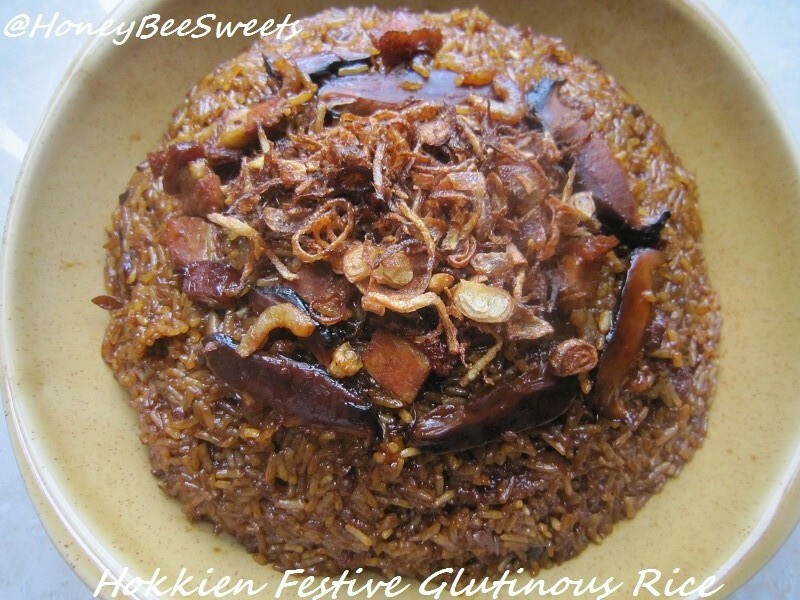 Its none other then the Hokkien Festive Glutinous Rice. In a frying pot, add the 6 tbsp of vegetable oil and start the heat at medium. Add the sliced shallots and fry till golden and crisp. Remove from the oil and place in bowl for later use. Add the sliced ginger into the same oil and fry it at medium fire till golden brown. Scoop out and leave on paper towel for later use. In another bigger pan, add in about 2 tbsp of the oil used for frying the shallots and ginger. Add in the sliced pork and fry till slightly crisp, dish up (I skipped this step because I used roast pork). 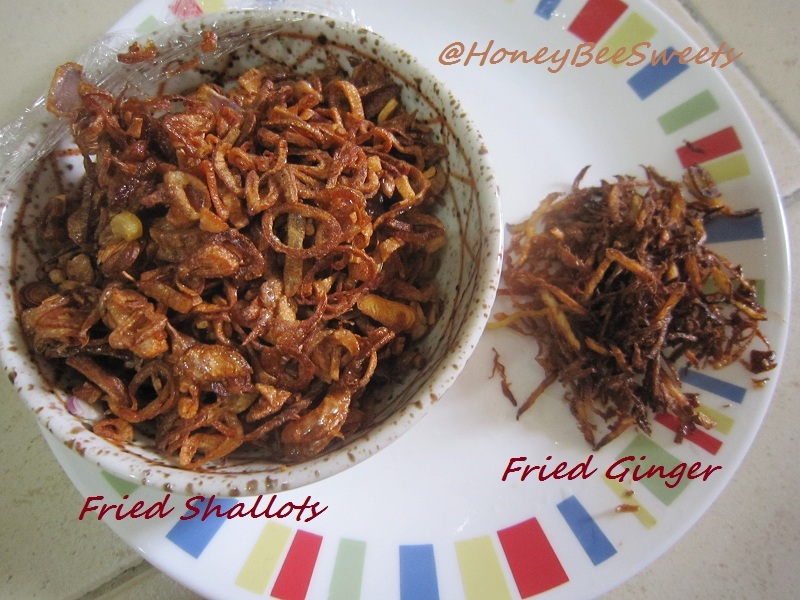 Then add in the soaked dried shrimps and dried mushrooms and fry till fragrant. Dish up. Drain the water away that is soaking the glutinous rice. 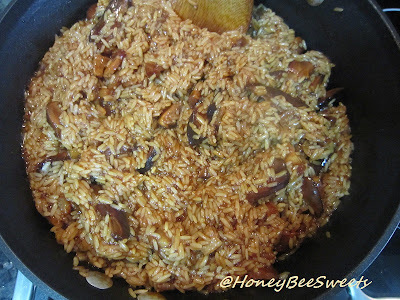 Add the glutinous rice into the big pan and start to fry it. Add in the seasonings and half of the water. Fry it till the rice thickens, then add in more water as per needed. When the rice is almost cooked and very thick and sticky, add in the dried shrimps, mushrooms and pork in. Stir fry and mix well. Lastly add in half of the fried shallots and stir in well. Add in the last bit of water if needed if too dry or the rice is not completely cooked. Cover and let it cook for another 3 to 5 minutes at medium low fire. Once done, dish up and pile on in a dome shape in a big bowl. 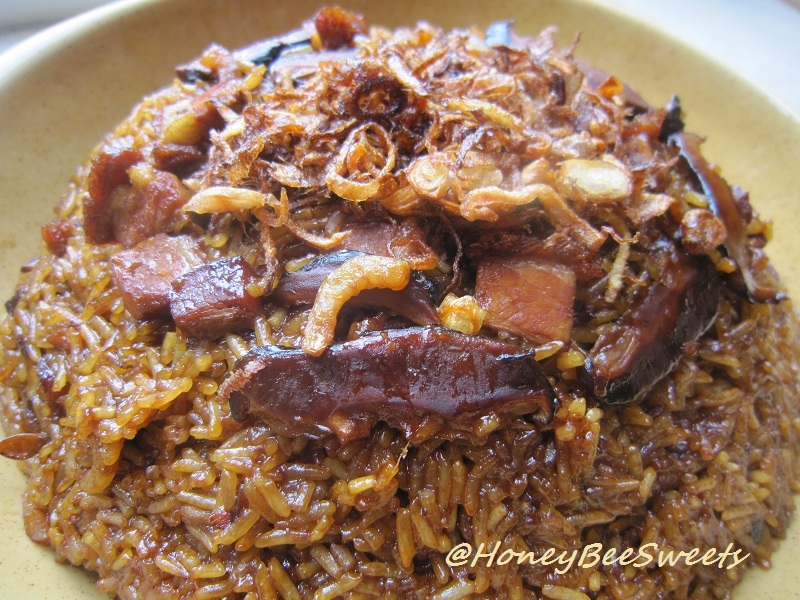 Sprinkle on the rest of the fried shallots and ginger on top of the rice. Serve when still warm. 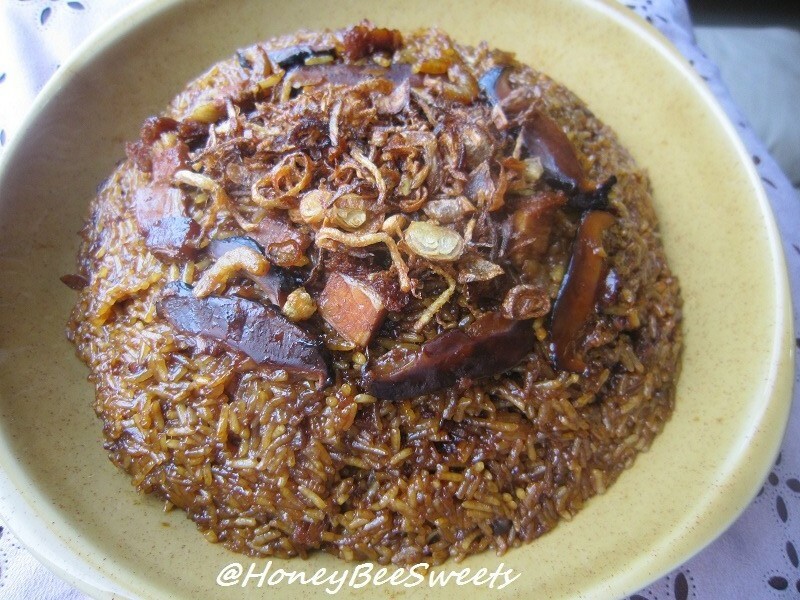 Being a Hokkien and married into a Hokkien family, I feel that I should really put an effort to learn the traditional dishes from both my mother and in law. And I also urge one and all to preserve this tradition and heritage, so our future generations will get to enjoy all these wonderful food, just like us! My younger child saw me shooting and came over requesting to take with it. Yeah...that's her thumbs up for her lunch, lol! 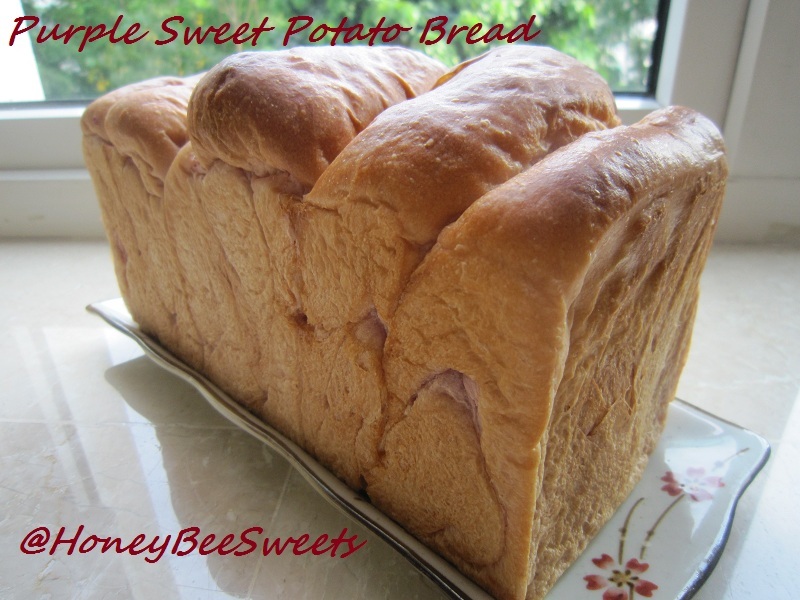 I am submitting this post to Heritage Food Trail hosted by Edith of Precious Moments. Thanks Edith, for hosting such a meaningful theme. 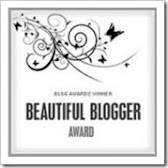 :) Have you submitted yours? Well, its always a good time to find out more about our own heritage, so why not start today? Got to go, you folks have a great day! 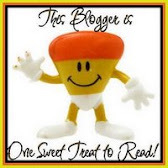 Today I am going to share with you all something that will melt any chocolate lover's heart. 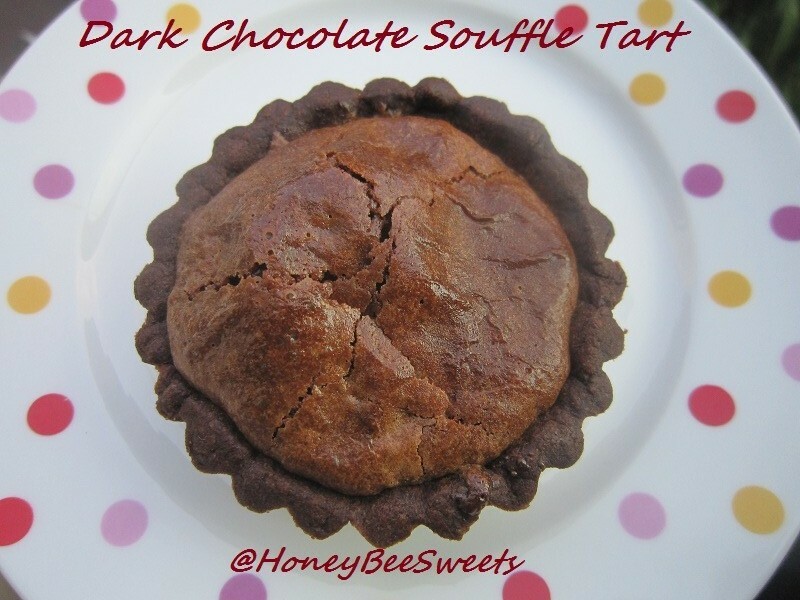 :) In fact, if you love soufflé , you'll love this desert even more! 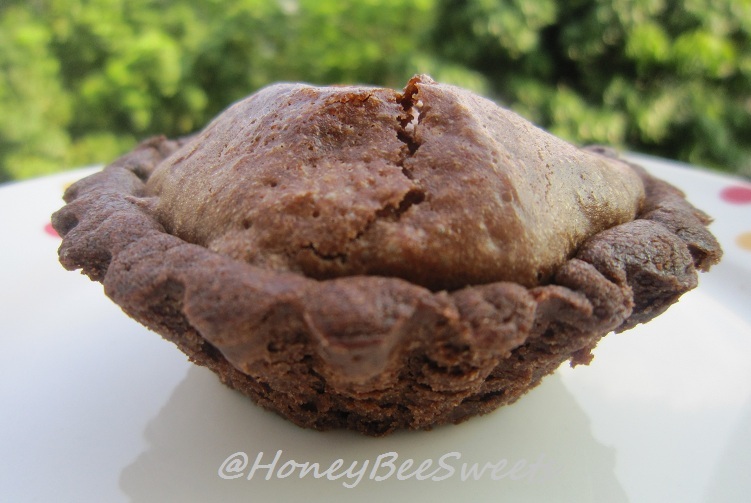 It's call Warm Chocolate Soufflé Tarts. Even the name itself is so tempting. 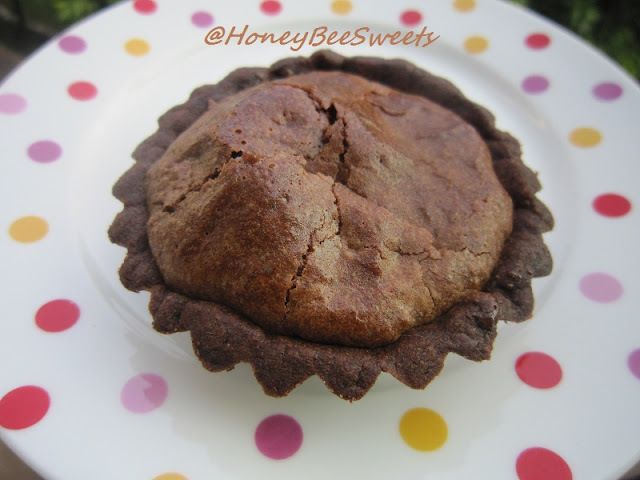 ;)) Elegant chocolate soufflé that gain stability and crunch from a chocolate shortbread crust. Sounds good huh? However the elegant name can't really match those tarts that I baked up. Why?See for yourself. :P It took me ages to get a decent shot of the tarts. (*o*)"
To prepare the pastry dough: In a large bowl, cream the butter and confectioner's sugar together until light and creamy. Add in the egg yolk and beat till smooth. Sift in the flour and cocoa powder and mix till the mixture comes together. Place the dough in a large plastic wrap and chill it at least 2 hrs or up to 3 days. To prepare the filling: Over a double boiler, melt the chopped chocolate and butter and stirring till it combines well. Remove from the heat and let cool before use. 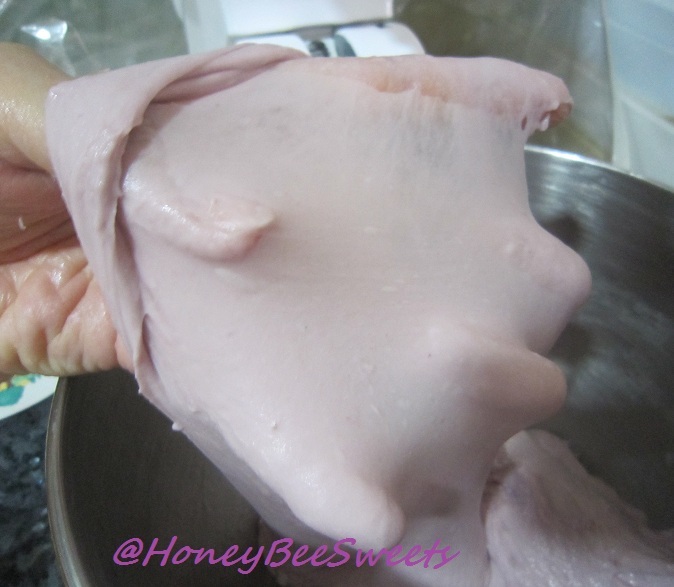 In another bowl, beat the eggs and sugar at high speed till the mixture is light in color, thickens & tripe in volume; also known as ribbon stage. Fold 1/3 of this egg mixture into the cooled chocolate mixture. Once incorporated, fold it back into the remaining 2/3 egg mixture and careful not to deflate the batter. Then in 3 separate portions, sift in the flour mixture and folding in carefully till no visible flour. Repeat till all the flour has been folded in. Cover the filling and chill it for at least 2 hours, or at least up to 2 days. Preheat the oven to 170C. Take the chilled chocolate dough out from the fridge. On a lightly floured surface, roll the dough into about 10" X 15" rectangle. Using a 2.5" or 3" round cutter, cut out about 16 to 18 rounds. Then press the cut out doughs into the tart tins. Prick the base of the dough in the tins and chill the shells for 20 minutes before baking. Spoon the chilled souffle fillings into the cooled tart shells to 80% full. Then bake in the oven at the same temperature for another 12 to 14 minutes. 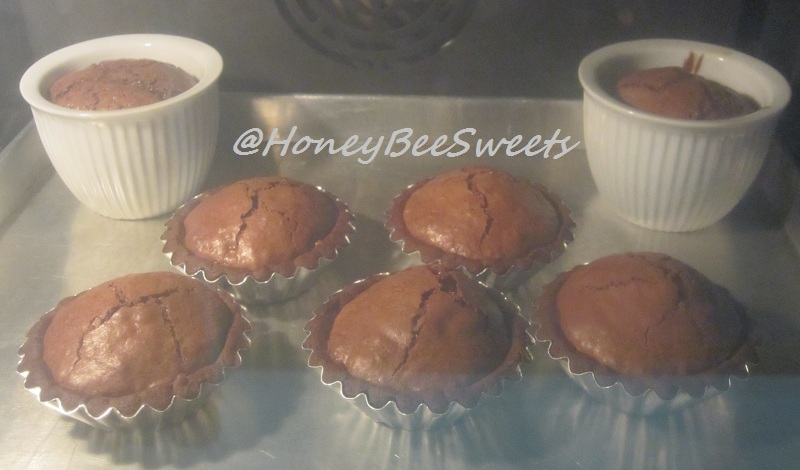 The filling will puff up but will naturally deflate a little once it starts to cool down. Serve when still warm. Or if you like, chill the tarts and serve them cold...it's equally delicious! Remember that the key point in making these is to use good quality chocolate & cocoa powder, or it won't taste as good. Needless to say, I will be submitting this to Aspiring Bakers #10: Easy As Pie ( August 2011) hosted by Janine of Not The Kitchen Sink! 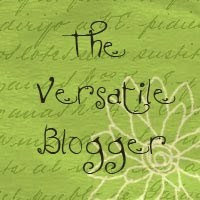 Thanks for hosting this month Janine! 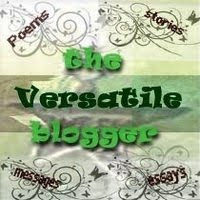 Have you submitted your post yet? Hurry before the month ends! Have a good day all! Cheers! It's the start of another busy week and soon the end of another month. Much is the hustle and bustle about Singapore presidency election this week, and the anticipated Hari Raya Pusa next. And not forgetting the term break that will be coming in a couple weeks time. I am actually looking forward to this school break. Although I don't have loads lined up to do but simply to have a little more time at hand for myself will be pretty nice. And yes, more family time will be great too. So what fun plans have you lined up this school break? 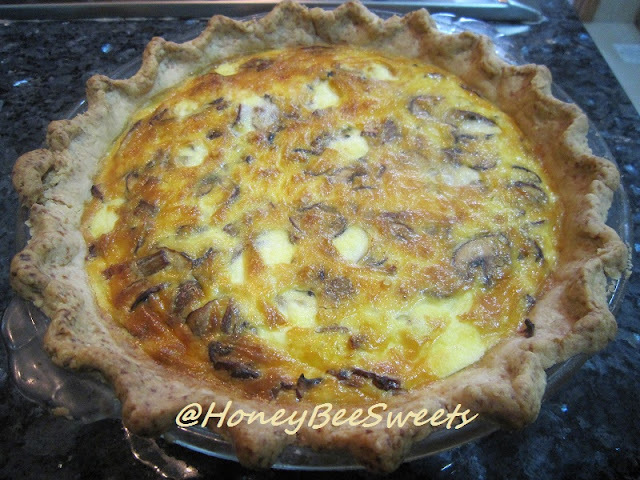 Just last weekend, I managed to have some time to bake a savory pie for my family for supper. It's Bacon Mushroom Quiche Lorraine. The name sounds a little sophisticated but in fact the preparations for it ain't that hard. In a large mixing bowl, add flour, salt and sugar and whisk well together. 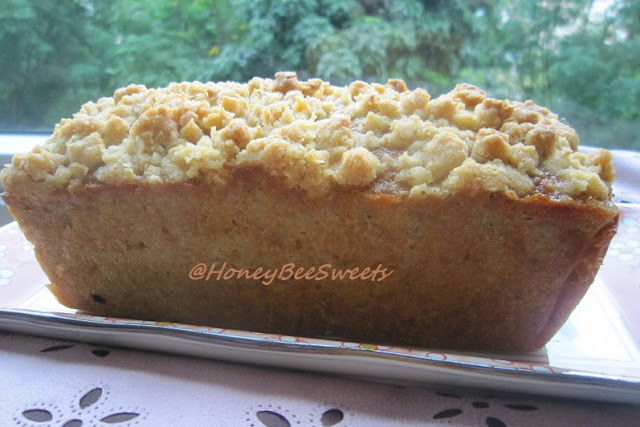 Add in the cubed cold butter & shortening and rub in till the mixture resemble bread crumbs. Gradually add in the ice water, 1 tablespoon at a time till the mixture can just able to come together. 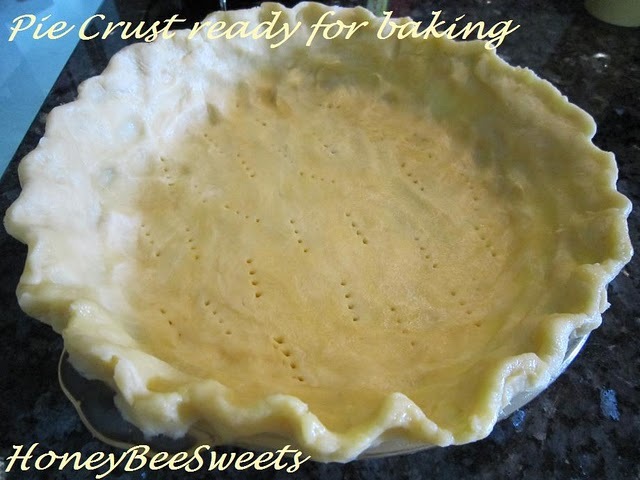 Do not add too much water as it will become sticky and the crust will not be that flaky. 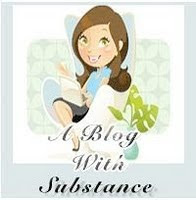 Pour the dough out on a lightly floured surface and pressed together to a a dough. Wrap in plastic wrap and place in fridge to chill for at least an hour. This can be done 2 days ahead. In a frying pan over medium heat, fry the bacon until the edges are crisp, about 8 minutes. Transfer to paper towels to drain, then pat dry with more paper towels. Cut crosswise into 1 inches pieces and set aside for use later. Using the same pan, add the chopped onions and saute using medium low heat until soft and opaque in color. Add in the slice button mushrooms and let it sweat down without stirring it. Add salt and freshly ground pepper to taste. 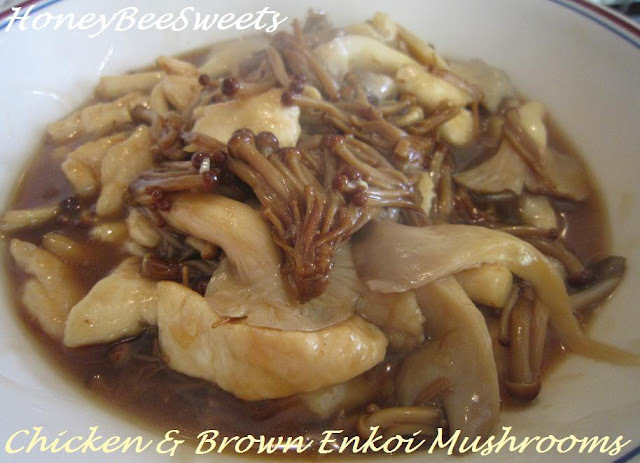 Cook until the mushrooms have soften and golden brown. Dish up and let cool for use later. Arrange the bacon pieces evenly in the prebaked crust. Then evenly place the saute onions and mushrooms over the bacon. In a large bowl, whisk together the eggs, salt and pepper until blended. Whisk the cream and milk together till well mixed. Pour through a medium mesh sieve and into a pitcher. 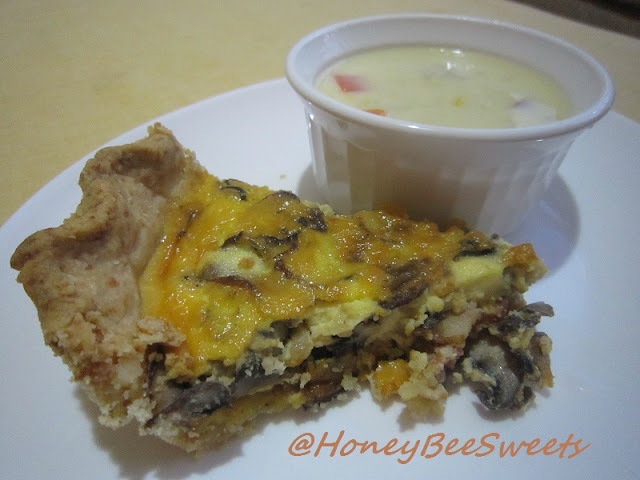 Slowly and carefully pour the egg mixture over the mushroom bacon in the crust. Dot the top with butter pieces. 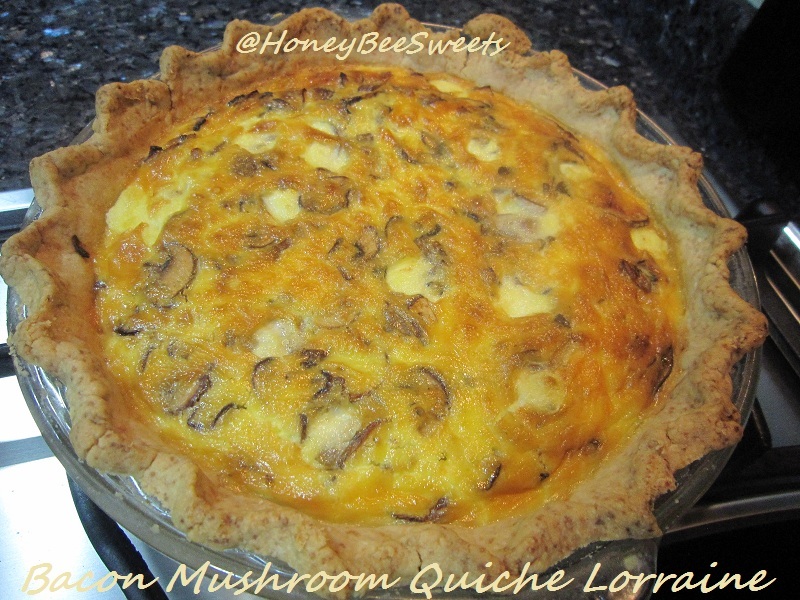 Bake the quiche until the top is lightly browned and the filling is set when you give the dish a gentle shake, about 35 to 40 minutes. Transfer the quiche over to the wire rack and let cool for 10 minutes. Serve hot. 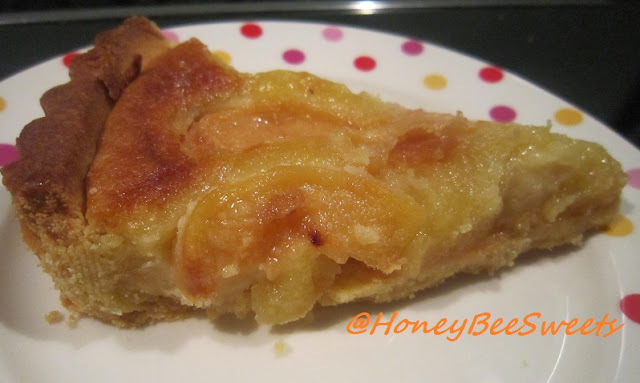 I am submitting this to Aspiring Bakers #10: Easy As Pie ( August 2011) hosted by Janine of Not The Kitchen Sink! Okay folks, hope you all have a good week ahead! Cheers! Without hesitation, I bought a couple back and was already planning how can I cook it. Since it was really fresh when I bought it, it would such a waste if I don't quickly use it soon. :P And I am sure you all know how mushrooms will become after a couple days sitting in the fridge. :oP So I decided to cook a simple dish; Saute Chicken and Enkoi Mushroom. 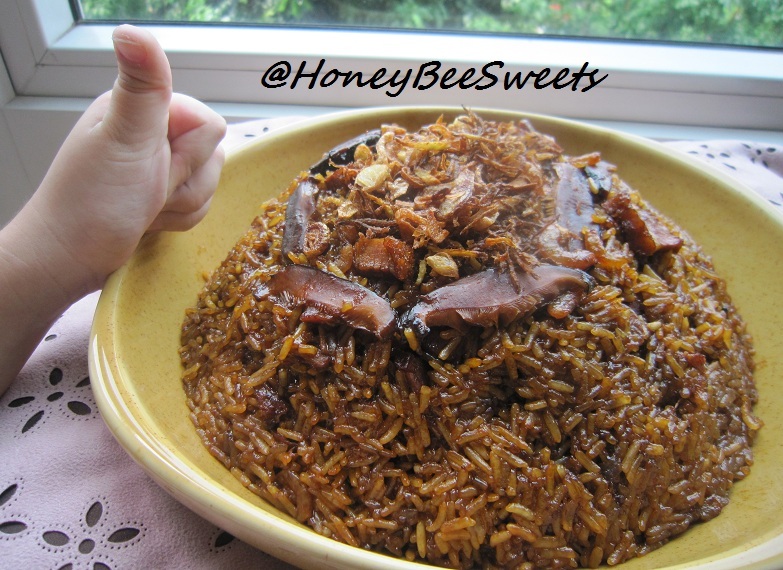 This is a common dish which I am sure many of you out there have made it before at home. Marinate the chicken pieces with the seasoning for it. Let it seat for at least 15 minutes. Cut the brown enkoi mushrooms from their rooms and break up the mushrooms a little so that it won't be big chunks. 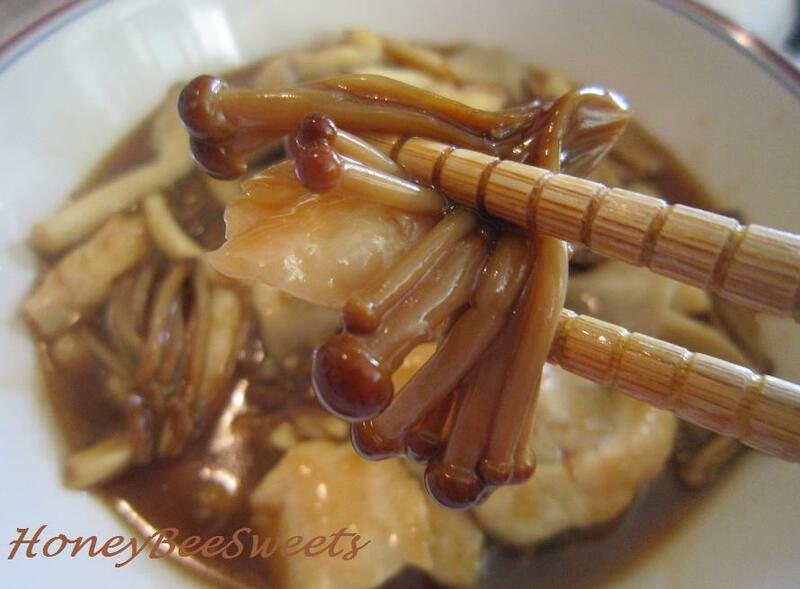 Do the same for the oyster mushrooms, break the mushrooms into smaller pieces. Set aside for use later. In a large saute pan, add some cooking oil and add the garlic and shallot in and cook at medium fire. Cook till fragrant and add in the chicken pieces. Cook till the chicken has becomes opaque and slightly brown. Add in both prepared mushrooms, follow by the seasoning for the dish. Stir well and cover for 3 to 5 minutes. Add in the thickening mixture and cook for another 30 secs. Dish up and serve while it's still warm. A simple enough and yet delicious dish that anyone can whip up anytime of the week. 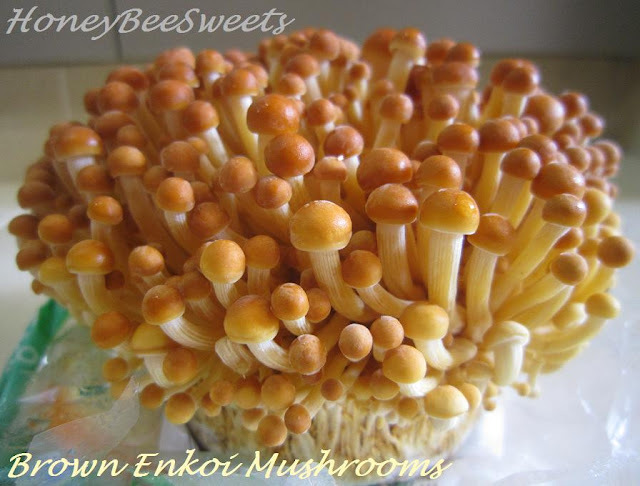 :) The brown enkoi mushrooms were actually smooth on the outside and still maintain its "crunch" and bite on the inside...excellent! Matching it with chicken and another mushroom was great because of its unique texture and flavor. :) I do hope you will try this brown enkoi mushrooms the next time you see it selling in the grocer next time. :) Enjoy!! 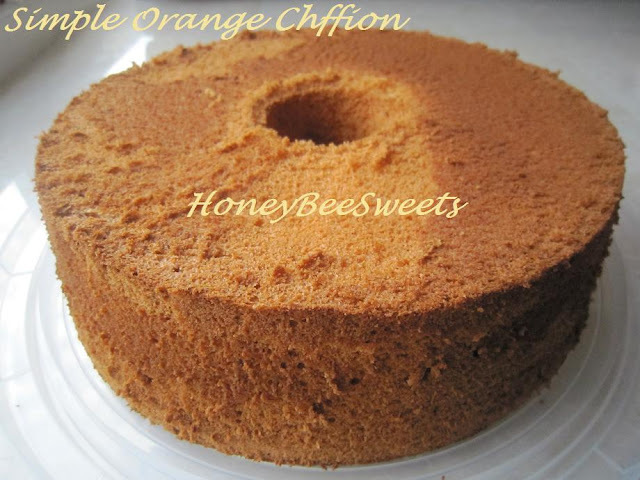 Another dish I want to share with everyone today is a simple Orange Chiffon cake. 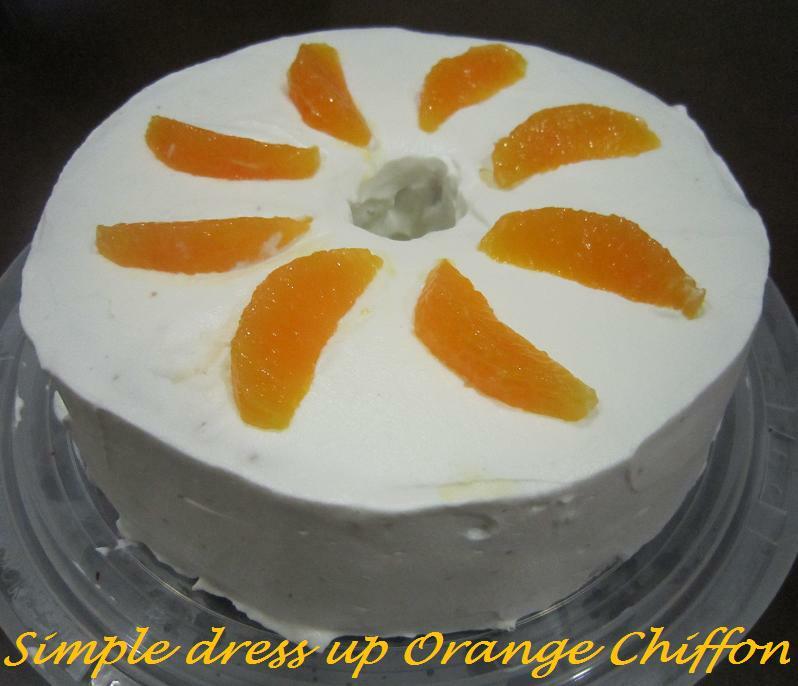 I have been wanting to try making another chiffon for a long time and that 2 oranges seating in my fridge just seems to answer my call. ;) I was actually procrastinating whether to post this up because it seems pretty common, but after the rave reviews I had from this cake, I decided to just post it. Sieve the flours twice and set aside. Preheat the oven to 170C. Place the egg yolks and sugar over a heat proof bowl over a double boiler on a gentle simmer. Using a hand beater, whisk the mixture till foamy. Then add the juice and zest and continue to whisk till ribbon stage. Remove from heat and set aside to cool for later use. In another bowl, beat the egg white and cream of tartar together till foamy. Gradually add in the caster sugar while the beater whisk at high speed. When it reaches stiff peaks, stop the mixer. In 3 separate portions, fold the whites into the yolk mixture till all is combined. Also in 3 separate portions, sieve the flour mixture into the egg mixture and gently fold in till all the flours are not visible. Pour the batter into the prepared pan and give it a light tap on the table to remove some bubbles. Bake in the preheated oven for 30 minutes or till golden brown and tester comes out clean. On the first time I made this (without tasting it yet) I was a little worried that it will be too plain on its own. So I went ahead and ice the whole cake with fresh cream and top it with some orange wedges. 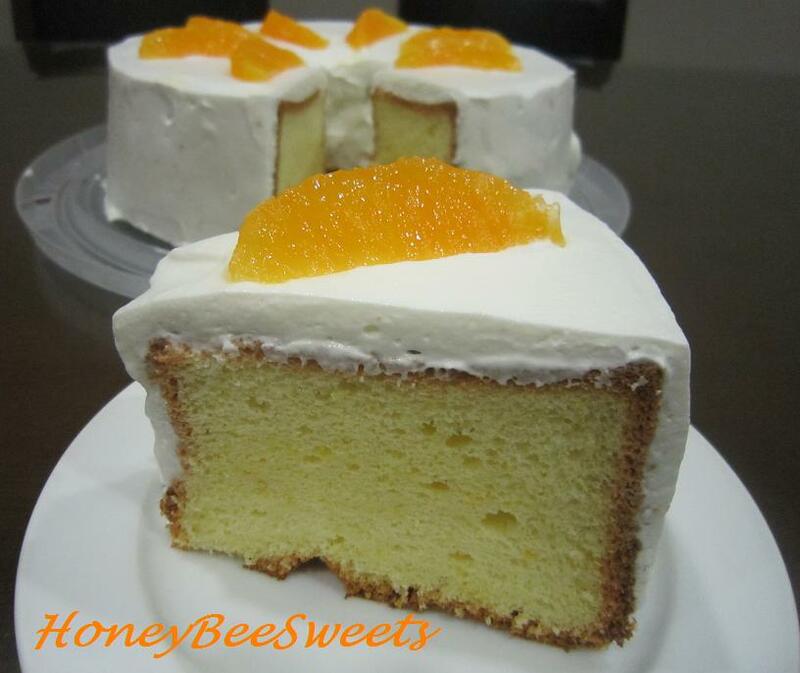 With the cream it was great and I realize the cake taste great on its own too! 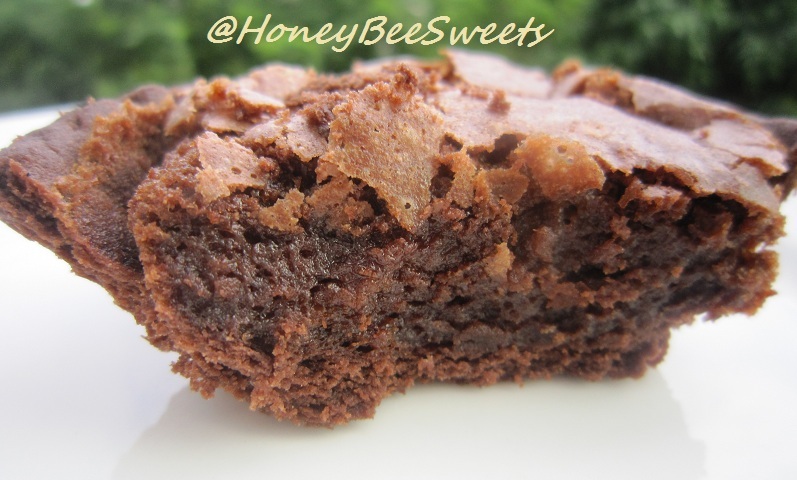 So after this first attempt, I modified the recipe (as above) and it turned out wonderful! I was really happy with it and made consecutive 4 times to share with my parents, my neighbors and my SIL. 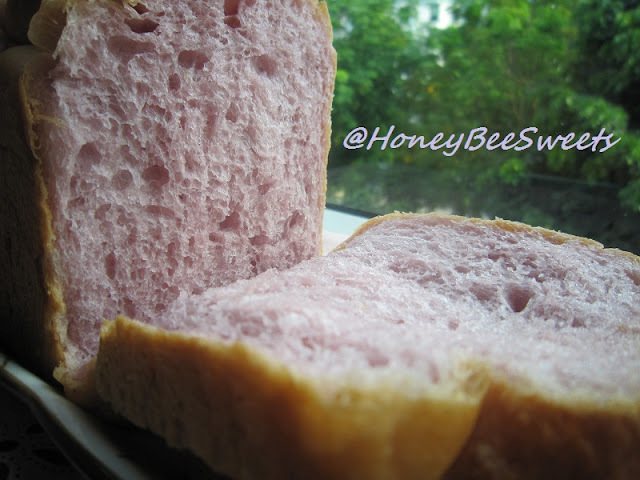 Today's recipe is Purple Sweet Potato Bread using the 17hr pre fermented dough technique. 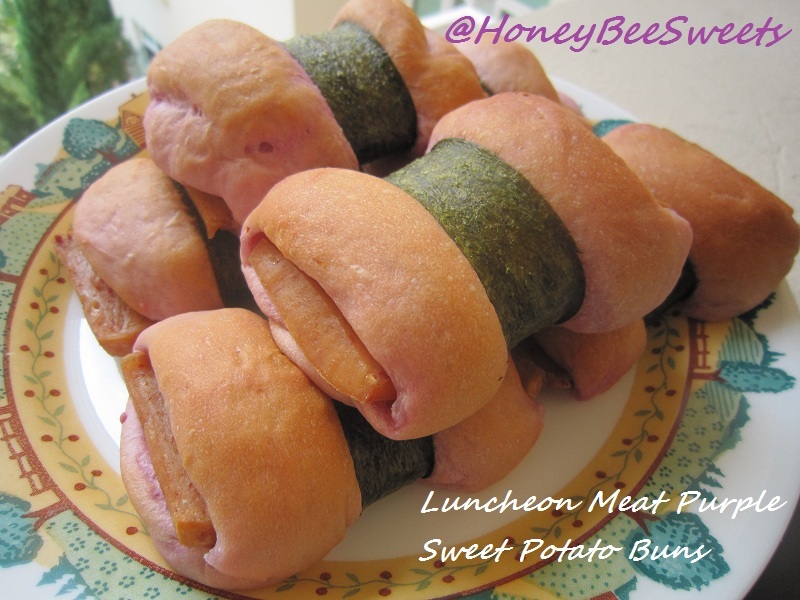 At first I thought the pumpkin version was my favorite, but now I can't decide which one is it after I baked this purple sweet potato version....it's equally good! Let it prove for about 45 minutes or until the dough has risen to 80 to 90% of the depth of the loaf tin. You can either cover the lid or bake it open top. 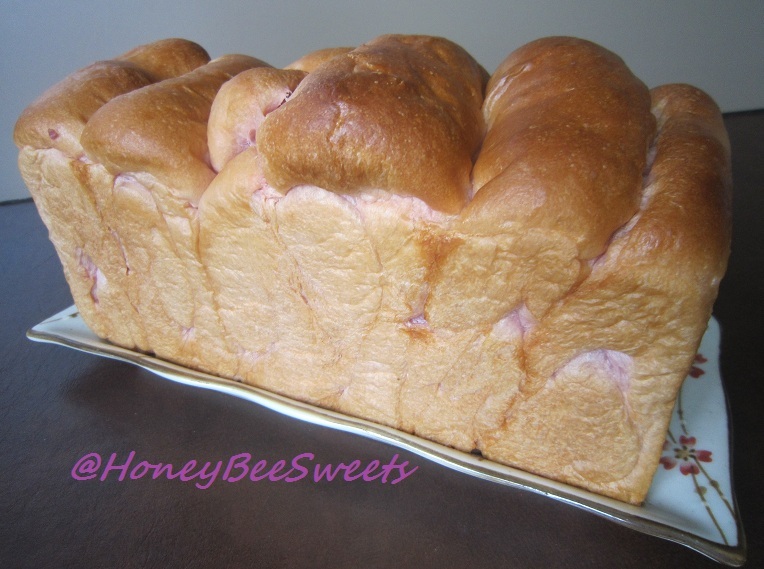 If open top, brush with egg wash. Bake in 175C for 30 to 35minutes. Thanks for coming by again. Hopefully will post up something yummy again soon. Have a great day all! Decided to bake something healthy a couple days back, for my family and for myself. Haven't been eating that healthy lately with durian season going on, if you know what I mean. :D So I searched online and a few of my books and found this simple recipe that is for sure a healthy treat to snack on; Banana Oatmeal Crumble Cake. This is a hearty and healthy cake and I feel it's not at all "heavy" snack. 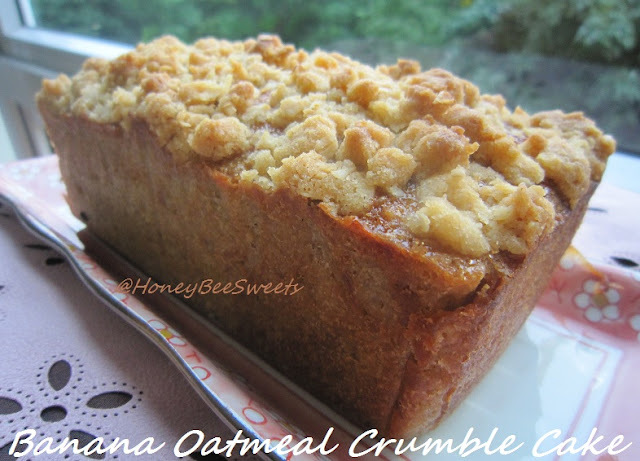 But it does fill you up after eating a decent slice as with the presence of oatmeal. So this cake is actually very good for breakfast since it fills you up nicely and prevent you from getting hungry before mid day. Preheat the oven to 180C and grease a loaf pan and lined with parchment paper. In a large mixing bowl, beat the sugar and butter together till light and creamy. Then add in the eggs one at a time and mix well. Add vanilla extract and milk to mixture and incorporate. Then add in cake flour, salt, baking powder, baking soda and mix well. Lastly add in the oatmeal and stir in well. 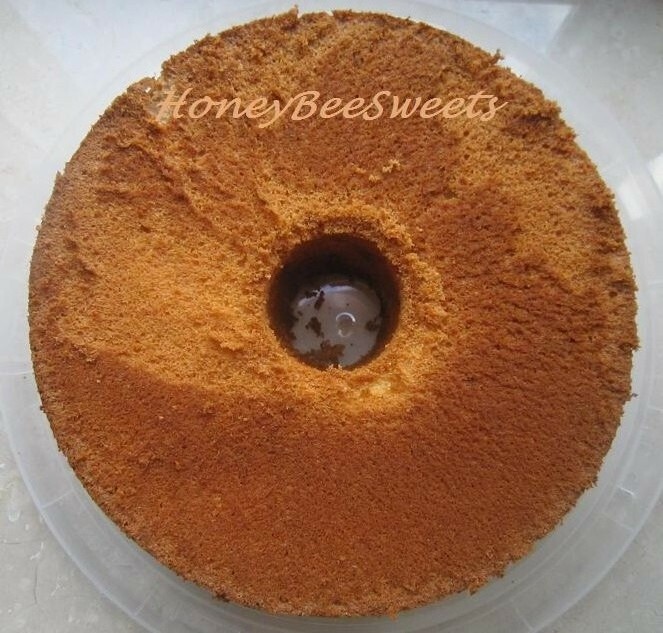 Pour the batter into the prepared cake pan. Prepare the crumble topping by mixing everything together and thoroughly. Sprinkle the topping on the cake batter top and will be baked on together. Then place cake to bake in the oven for 30 to 40 minutes with the tester comes out clean and the loaf is golden brown. The cake was very moist with a nice banana fragrance and with the right amount of sweetness. 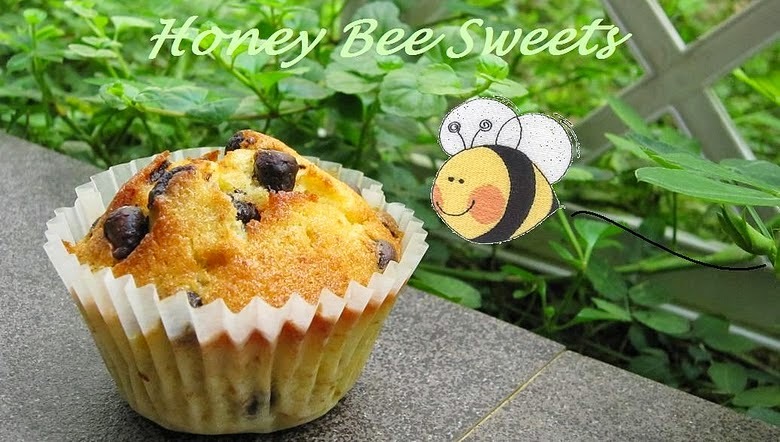 I gave some to my sister and she loved it and asked me to bake some again next time. :) Even my kids whom are not fans of oatmeal, enjoyed too. 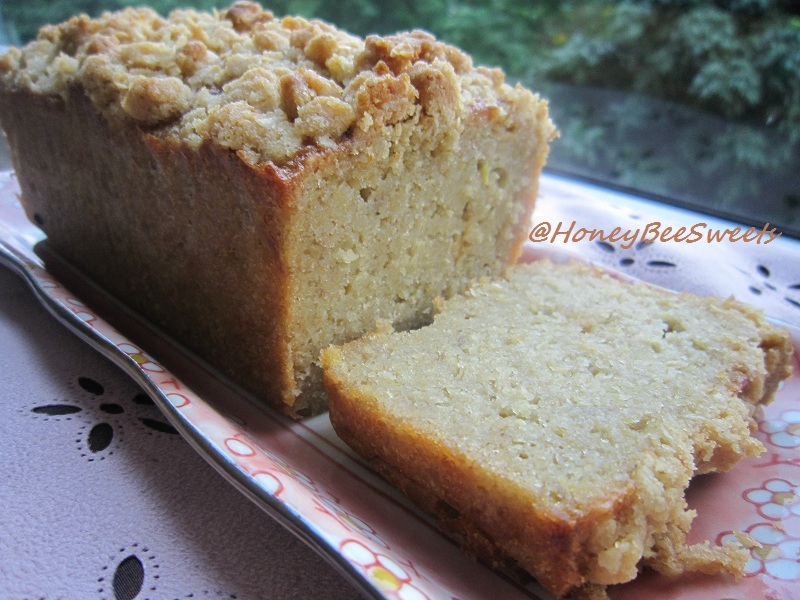 So there you are, another banana cake recipe....you can never have too many banana recipes in your baking repertoire. Enjoy folks!